Creating Somewhere Under The Sun: The Ribbon Reel 56 - Thinking of You! The Ribbon Reel 56 - Thinking of You! Hopefully this post is making it's way to you as I will be away for a bit and this post is scheduled. It's another bi-weekly challenge at The Ribbon Reel! It's Lenet's turn to host and she ask us to make a card or project inspired by the picture- plus add ribbon, flowers and lace. I used a sentiment from Paper Sweeties Occasions sentiment set. I made a flower from tissue paper. I used a variety of papers from my stash and distressed the edges. Please head over to The Ribbon Reel Challenge Blog to see what the other talented ladies have created for you. We hope you join us in the gallery over the next two weeks for your chance to win some Ribbon Reel goodness. Thank you so much for peeking in! I appreciate it so much! Beautiful card!Love your colors,very pretty!!! Wow, Tammy! This is spot on for that photo! 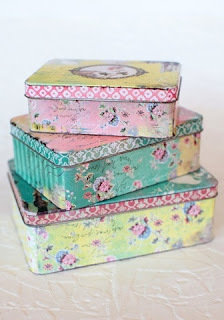 LOVE your mix of patterned papers and ribbons and flower! Gorgeous, GF! I love love love love this! LOVING the colors and that flower!!! Perfectly shabby Tammy! That lace trim is out of this world and I am SWOONING over your dreamy hand made rose!!! Another of you pretty PRETTY cards!! wow! This is so pretty! Love the sweet happy colors and design! Your card is all shabby goodness! Beautiful papers and your elements finish it perfectly. Hey Tammy - so very pretty - love all the papers and wonderful colors and your lace is beautiful - what a splendid touch that was!!!!! Your take on the photo is so cool! Love how added the ribbon too. So girl! A perfect take on the challenge! Such a pretty sumertime card!! So pretty Tammy, I love those patterned papers, and the fab lace. This is beautiful Tammy! I LOVE your tissue flower - it is so gorgeous. Pretty papers and colours - soft, yet vibrant. A beautiful design. Oh Tammy this is just gorgeous!!! I love that tissue flower... it is sooo pretty! The papers are so pretty and colorful... just a beautiful card! What a delightful card So pretty and colorful. Love the tissue flower. Wow! WoW!!! !Very sweet and happy! I love it! Ohhhh, this is gorgeous!! The layers are fabulous and the distressed look with the bright colours makes for such a wonderful combination!! Ooooh, pretty! Love that layered lace and trim! Tammy this is so pretty! I love the mix of patterns and papers and the summery colors here! Totally you and absolutely WONDERFUL! adorable! love the happy colors and mix of patterns, Tammy!